In Start Your Own Retail Business and More, the staff of Entrepreneur Media, Inc. and writer Ciree Linsenman explain how you can get started in the retail industry, whether you want to start your own specialty food shop, gift shop, clothing store or kiosk. In this edited excerpt, the authors provide tips on finding the right products for your target market. In a retail business, the potential for product comes with wise inventory purchases. The most astute pricing strategies won’t help if your inventory is wrong. Creatively shop, but don’t be distracted by all of the wonderful merchandise out there that doesn’t fill your customer’s cup, or your investment will most likely be unrecovered. Buying inventory is easy; selecting the right things to fill your store’s shelves poses more of a challenge. You know what kind of retail operation you have and who your customers will be. Now how do you put together your merchandise portfolio? Choose products that enhance your reputation. Your prices should reflect your image and your target market. This means that you should establish your price lines and price points before you buy. You must get the highest possible markup consistent with competition and customer price satisfaction. The better the buy, the higher the markup you can make. Here's a simple procedure to follow to help you decide which merchandise you should offer and which you should not. If you're dealing with electronics or clothing, you may wish to do your breakdown on the basis of brand names. If you're organizing a food business, simply list the food supplies you would have on hand the day you open. Divide your inventory into broad classifications, such as $30,000 for motorcycle hard parts. Divide each broad classification into sub-classifications—for example, engine parts, wheel parts, frame parts, transmission parts, dress-up parts, drive-line parts, and tune-up parts. Allocate a certain percentage of your capital to each sub-classification—for example, 20 percent engine parts, 5 percent wheel parts, 5 percent frame parts, 5 percent transmission parts, 30 percent dress-up parts, 10 percent drive-line parts, and 25 percent tune-up parts. Locate resources that will sell you the products you want to stock. For instance, read Hot Bike magazine, the Cycle World Buyer’s Guide, and Thunder Press newspaper. Get catalogs from online sources such as Custom Chrome, Motorcycle Superstore, and Drag Specialties. Make sure each item purchased gives you the best possible markup and that the retail prices will fit the price lines you have set for your operation. The motorcycle store’s target markup is 50 percent on services, 40 percent on accessories and clothing, and 35 percent on hard parts. You only have so much money to allocate for merchandise. The challenge is to achieve maximum sales from what you buy. By first determining how much of what you're going to buy, you discipline yourself to be discriminating and to keep your buys in balance with your overall inventory needs. Faced with an enthusiastic salesperson, an attractive deal, and a hunger to buy, you need all the will you can muster to remember your priorities. Keep your buying plan with you and stick to it. One way to find the products you want to sell is to work with a buying office. A resident buying office is composed of buyers in national or international market centers who shop the market daily to offer their member stores information and to choose and purchase items for them. Resident buying offices primarily provide advice and counsel. Their staffs also do actual buying for their members on a contract basis. A buying office can be your eyes and ears and can help you evaluate resources, identify price fluctuations, and keep up with trends. A buying office has its own staff of domestic and foreign buyers and can invite your buyer to information clinics. Most professional buyers are located in or around merchandise markets. For example, you’ll find most professional clothing buyers near the New York market. Search online using business industry terms to see what merchandising services are available in your area for your type of business. Independent resident buyers usually deal with small retailers, providing few services other than the procurement of merchandise. The buyer can represent many manufacturers and gives the retailer the advantage of choosing from a large assortment of items without paying a fee. The commissioned buyers are considered merchandise brokers. Many manufacturers sell their goods directly to retailers. When there's no middleman or supplier involved, you can negotiate terms more easily. Most retailers buy from wholesalers. 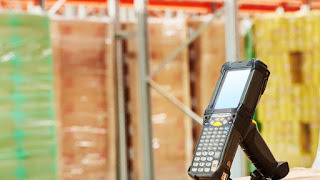 Some advantages of dealing with a warehouse include access to a wide assortment of items close to your business, reducing the number of sources you have to deal with, and the ability to purchase in smaller quantities rather than going directly to the manufacturer. Some importers are excellent resources and connect you with manufacturers in foreign countries. However, buying inventory from suppliers is the cornerstone of many a successful retail business, so you need to know how to establish good supplier relationships. As soon as you file your business name or take out a business license, suppliers will start approaching you for business. Ask for catalogs, brochures, business addresses, and who they bank with to avoid scams. Established suppliers cannot only be a great source of necessities but can also offer you insight into the market. They can help you interpret consumer demand, guide you in the operation of your business, and assist in solving problems. Most buying is done on a seasonal basis. There are certain items that sell throughout the year, and there are those that drive consumers into your store during a specific period of time. For instance, winter means long sleeves, boots, coats, snow shovels, cold remedies, hot food, heaters, and cross-country skis, while summer sells bathing suits, air conditioners, sunscreen, cold drinks, barbecues, and pool supplies. Factor these realities into your analysis of your store’s sales activity. How hot is a “hot” item? Is the interest a passing fad or a sustainable trend? Make sure you can obtain new items and promote them in time to profit, or the risk may be too great for being left with excessive stock you’ll have to mark down. How do you decide how much is enough? A common ratio during normal demand periods is 3 to 1. That is, to reach a certain sales figure, you must have three times that amount in inventory. For example, it might take a $90,000 inventory in snowboards to generate $30,000 in sales in that category during a given month. Other merchandise classifications have different ratios. In a furniture store, it might take $500,000 in inventory to generate $100,000 in sales—a 5:1 ratio. In fine jewelry, it could take $300,000 to generate $50,000—a 6:1 ratio. A major retailing goal is to generate as much as possible in sales from the smallest possible inventory, but it's dangerous to run out of merchandise customers want. Thus, keeping tabs on sales-to-stock ratios helps you know how much merchandise you should have on hand. Trade associations usually maintain the most up-to-date ratios to assist retailers with buying.